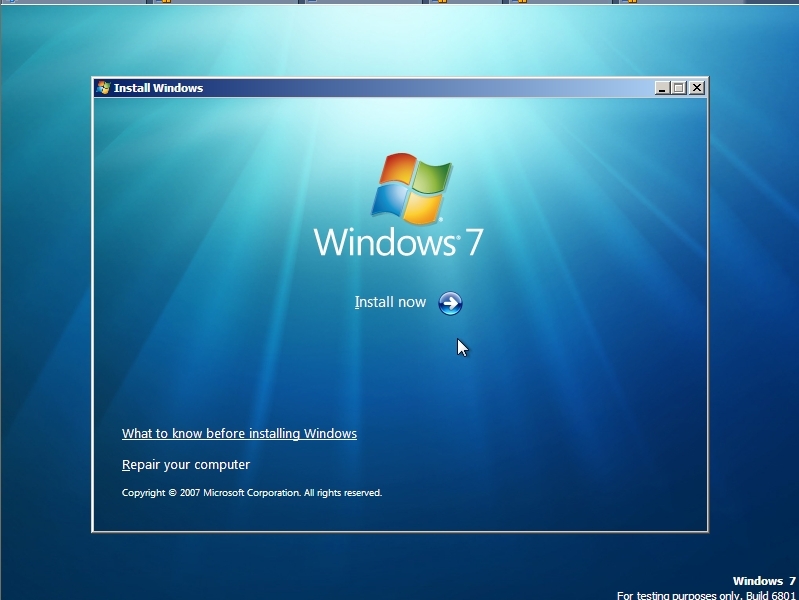 I thought I’d do my part to flood the web with screenshots from the M3 preview of Windows 7 that was distributed at last week’s Professional Development Conference in LA. 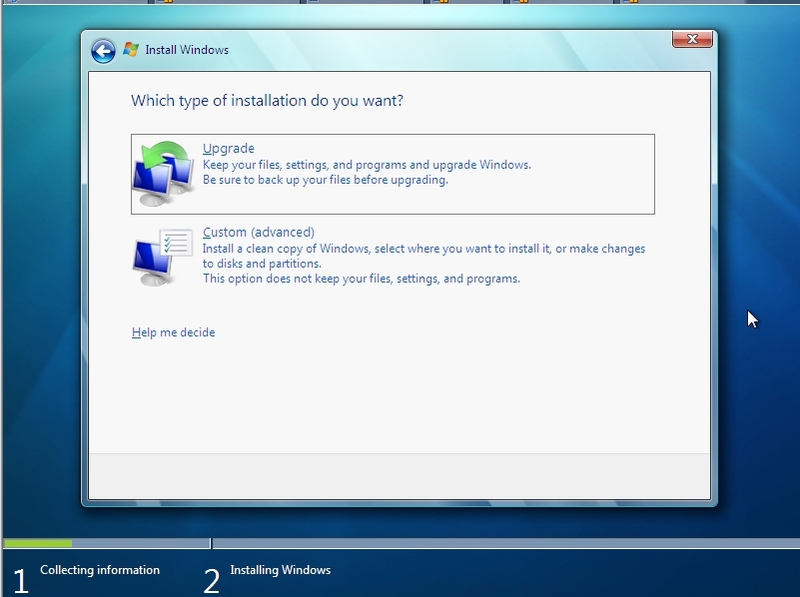 The obvious place to start in Win 7 is with the installation process. 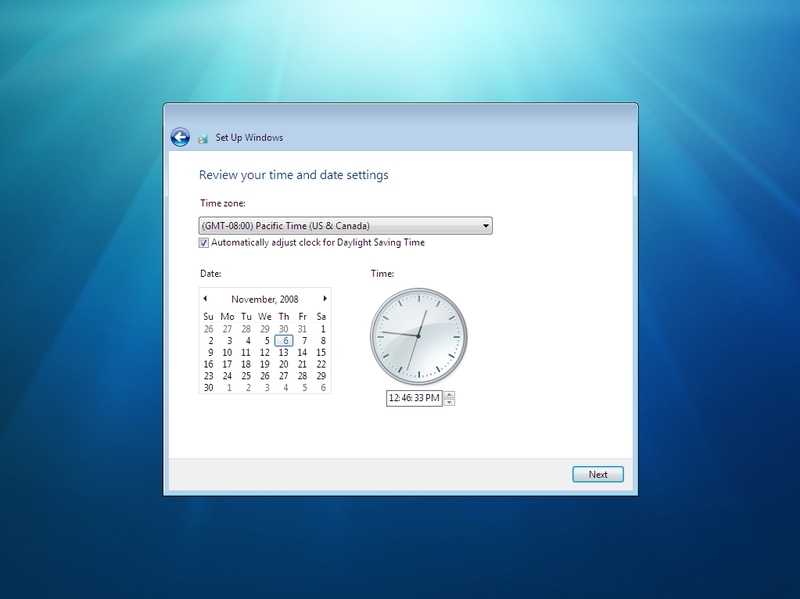 I’ll put up more posts later with screenshots of various bits and pieces in Windows 7. 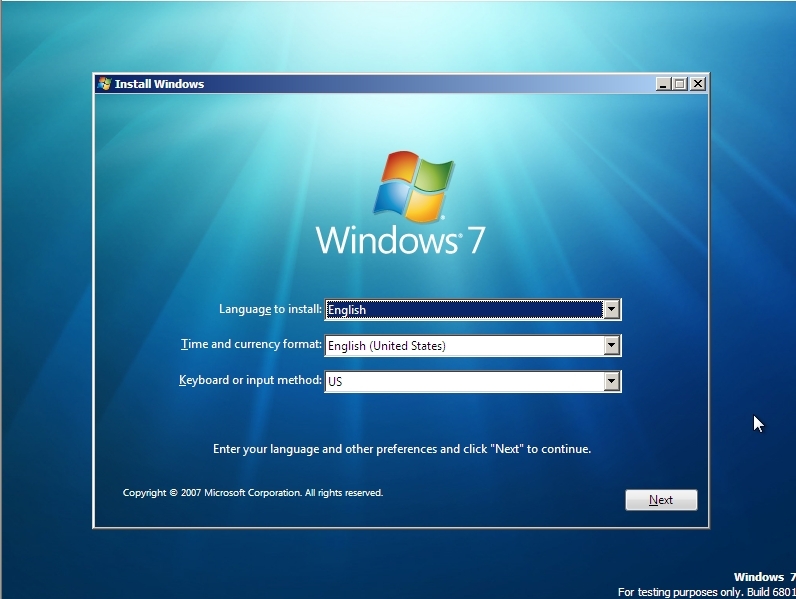 But this first post will just contain: every damn Windows 7 installation screen. 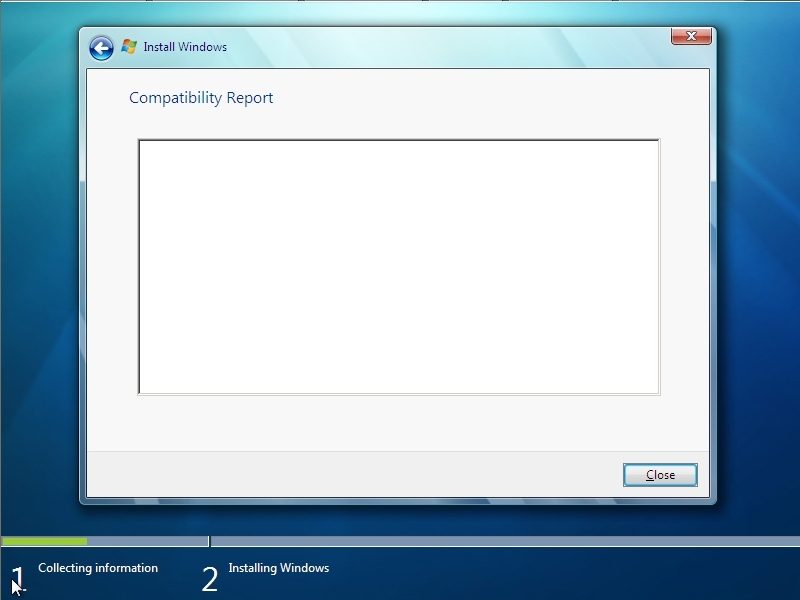 Ok, admittedly, looking through install screens is about as exciting as watching bacon fat congeal. But really—there are people out there who will eat this stuff up. So it’s for them that I’ve suffered an endless series of screen captures. Enjoy. 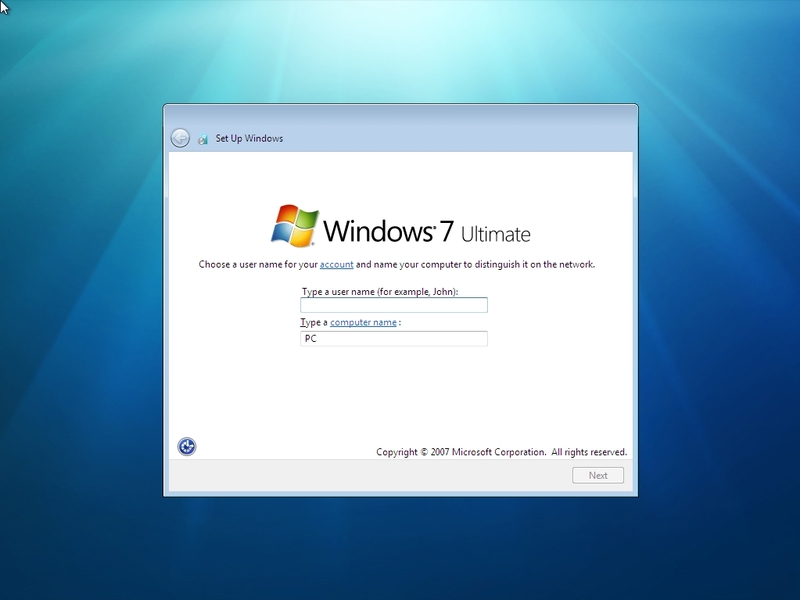 I installed my copy of Windows 7 to a VMWare virtual machine. 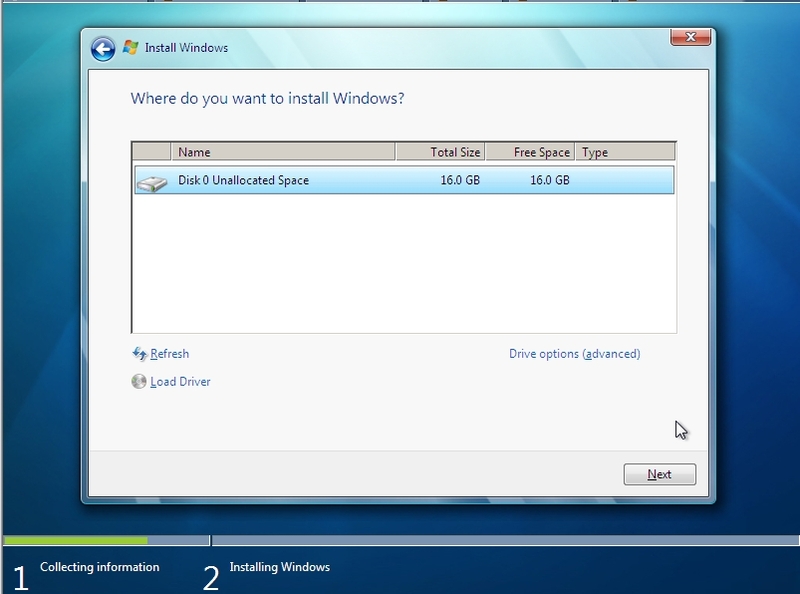 The only “gotcha” was that VMWare creates a SCSCI virtual hard drive by default—which Windows 7 failed to recognize. Simple fix—just delete the default hard drive and create an IDE drive in VMWare. 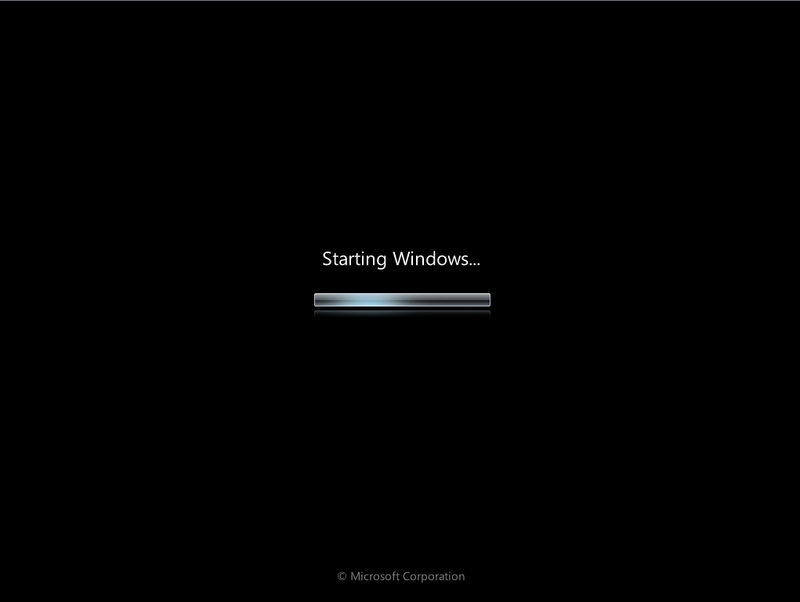 You just get shivers as you start to install a new Microsoft OS for the first time, don’t you? 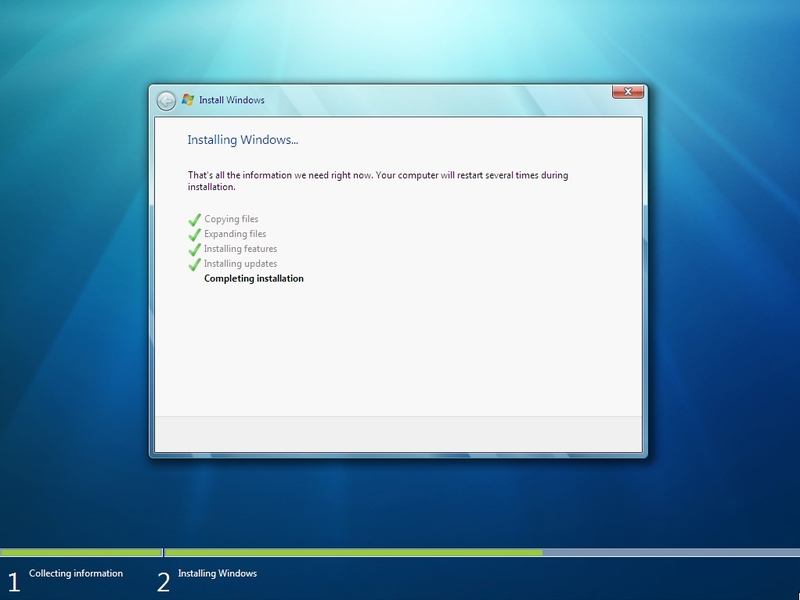 Next we get the first Windows 7 install screen. This is the spot to insert the angelic music. I once met a guy who actually read these EULAs. Can you believe it? 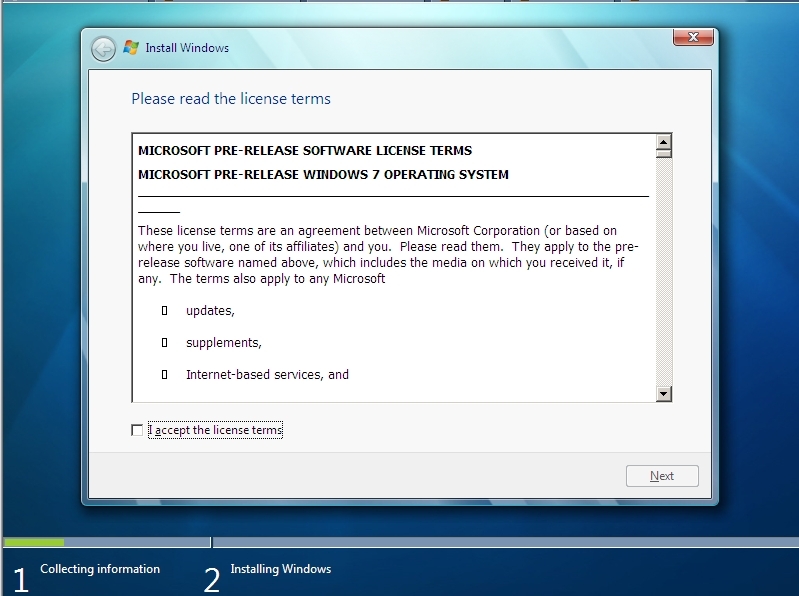 This next dialog is just as confusing in Windows 7 as it was in Vista. 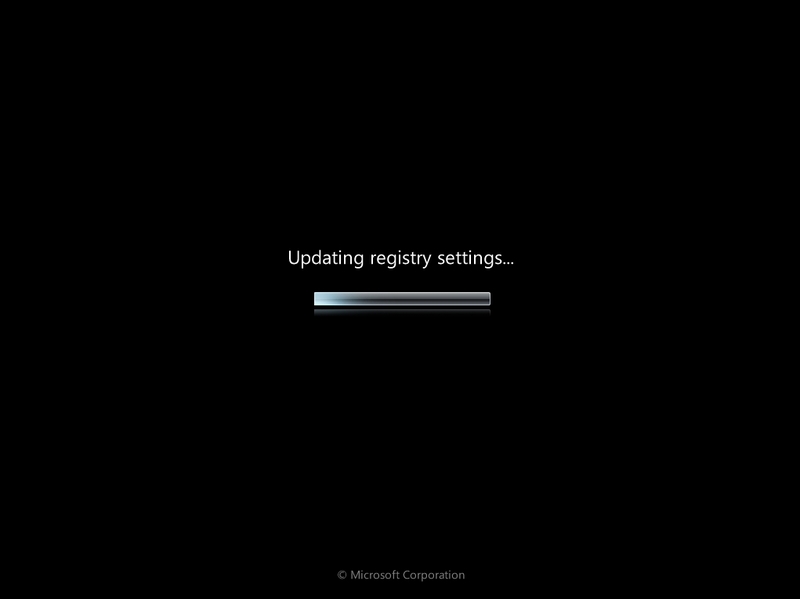 In my first try, I went with the Upgrade option, which only got me this next confusing empty dialog. Nice. 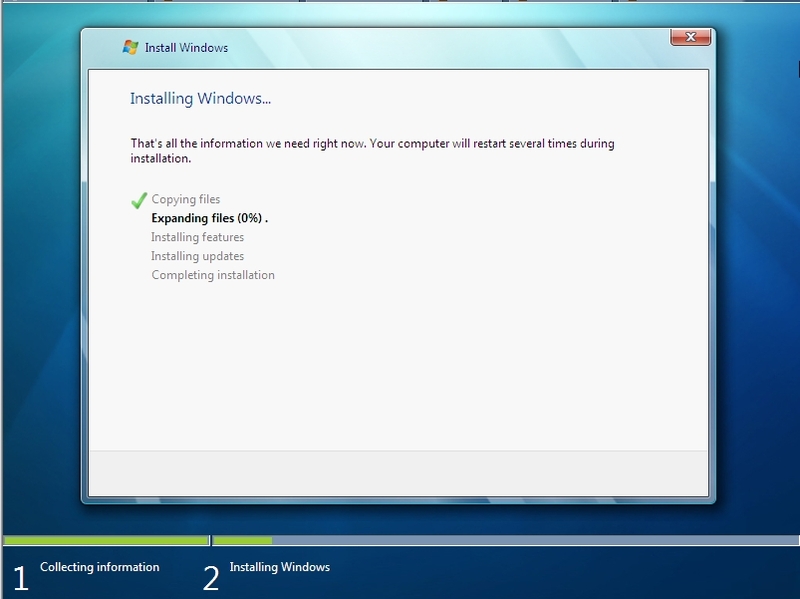 Finally, the actual installation begins. 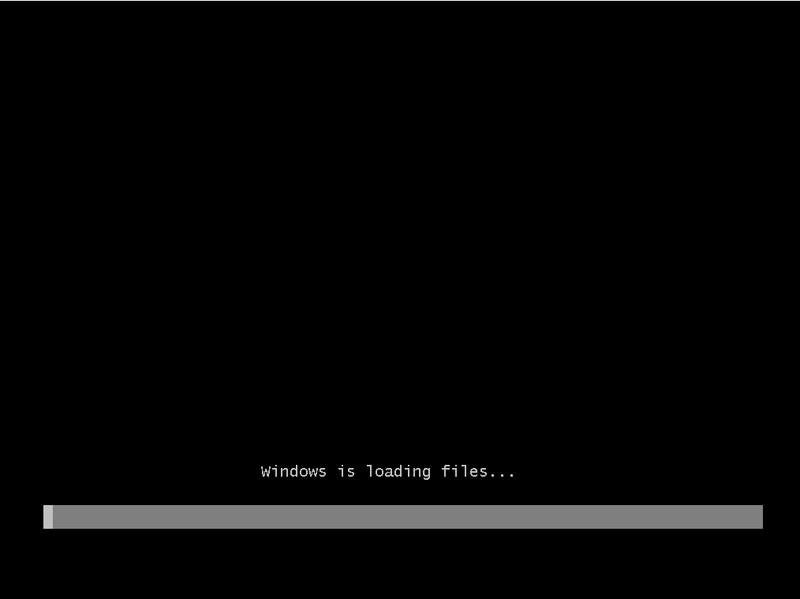 At some point, near the end of the installation, Windows boots for the first time. It lives! 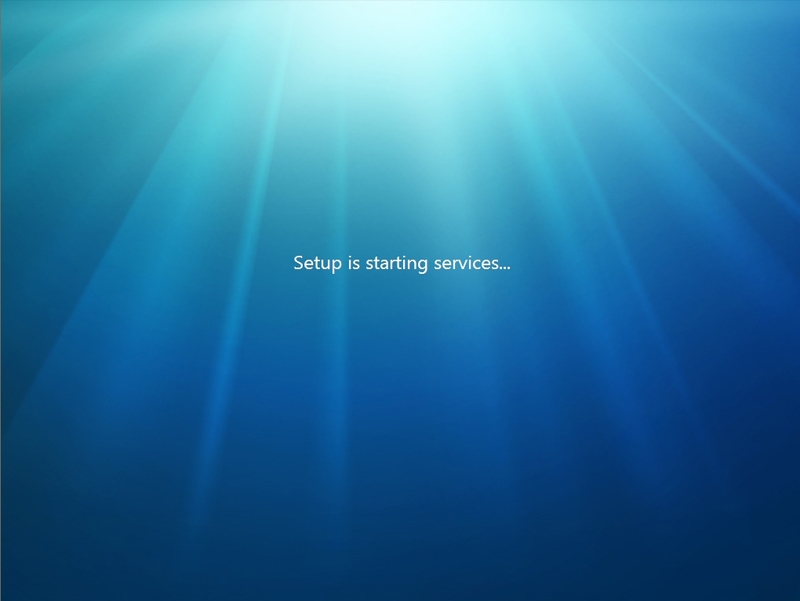 All of the services apparently start firing up, as the boot process continues. (Hallelujah)! And for some reason, we’re allowed to go back and look at this status dialog one more time. And then back to the main boot screen. (Are you starting to feel as if you were really there)? Oh, this is a nice little touch. 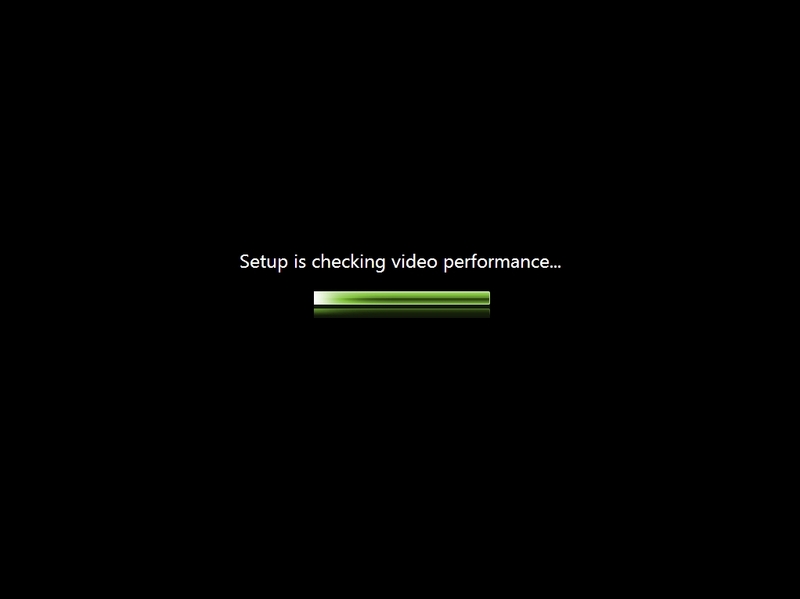 No screen flickers or anything, but nice to know that it’s “checking” my video performance. (Whatever that means). 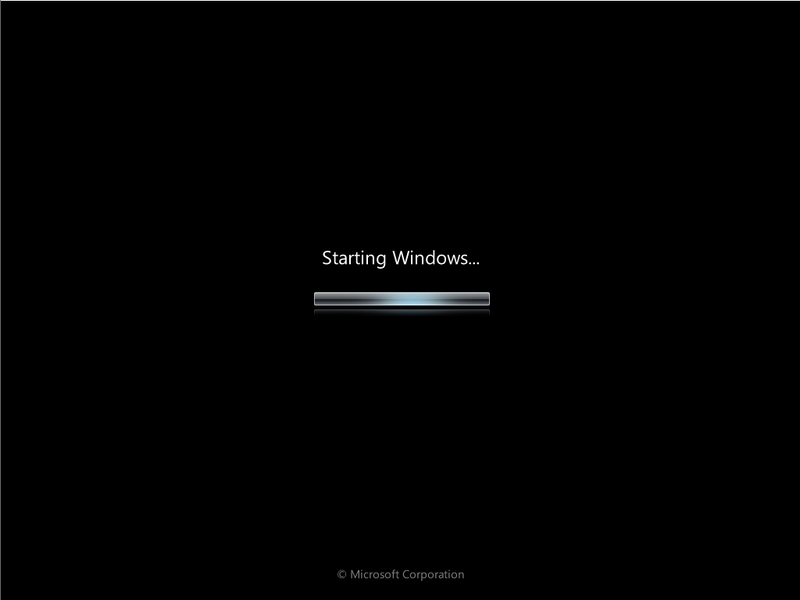 Now Windows is more or less running and we start doing some of the final configuration stuff. First, we specify a default username. 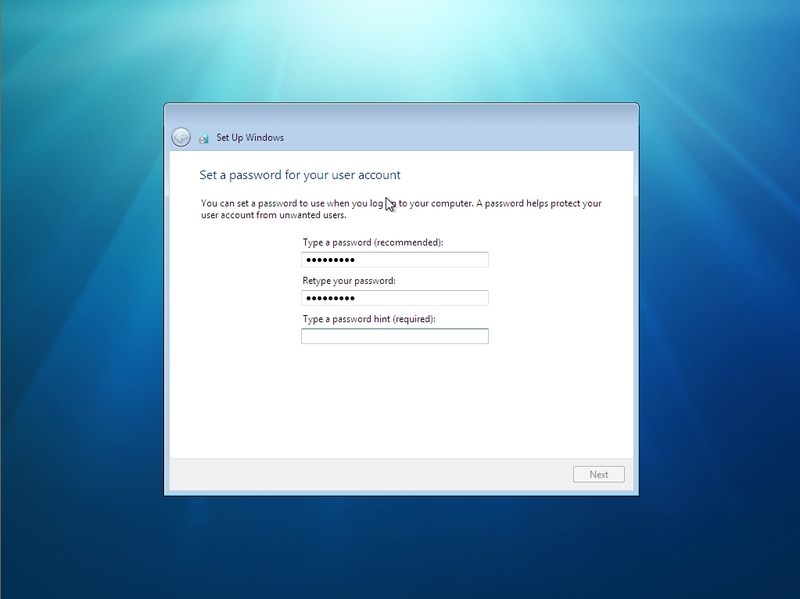 This will be the Administrator user account. Seeing a PC name of “PC” also makes me think of John Hodgman and the Mac switcher ads. 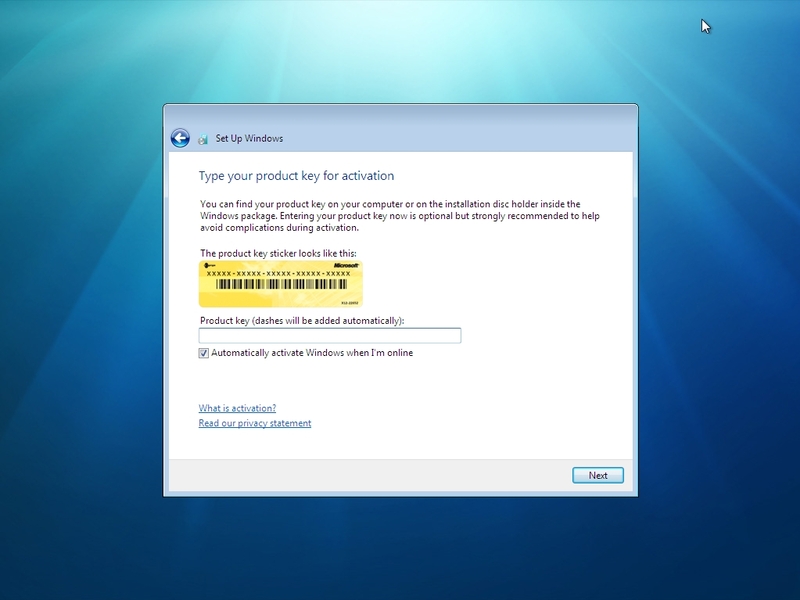 And (of course) the product activation key. Wouldn’t it be cool if every key had a barcode and I could use a barcode scanner at this point? (My key did nothave a barcode). I also get to set my time and time zone. This is an interesting one. Right out of the gate, I’m asked to specify whether my network is public or not. Like Vista, this dictates some default security settings. 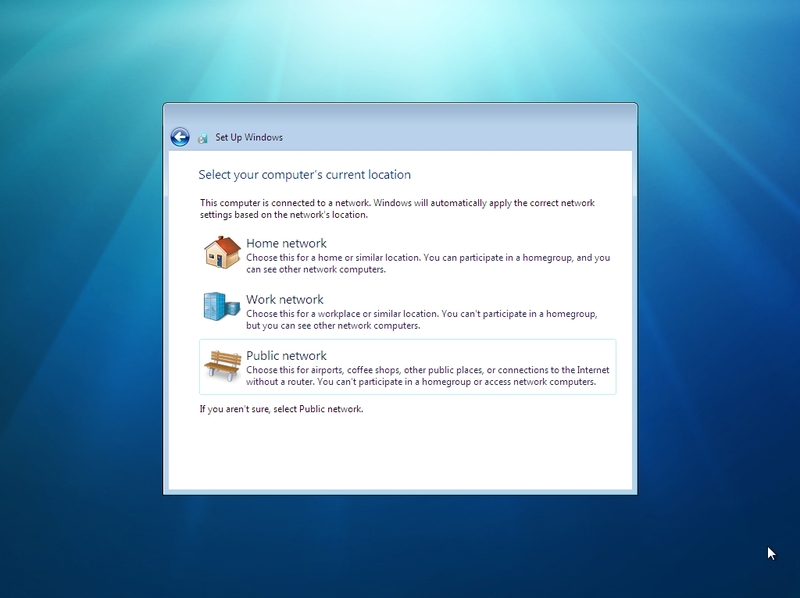 I picked Home network and Windows 7 did some remaining network configuration work. Ok, here’s one of the first really new things to show up. A “homegroup” is basically a relabeled “workgroup”—something short of a domain. I’m wondering if I’d chosen Work location in the earlier screen, if I’d now be joining a domain. 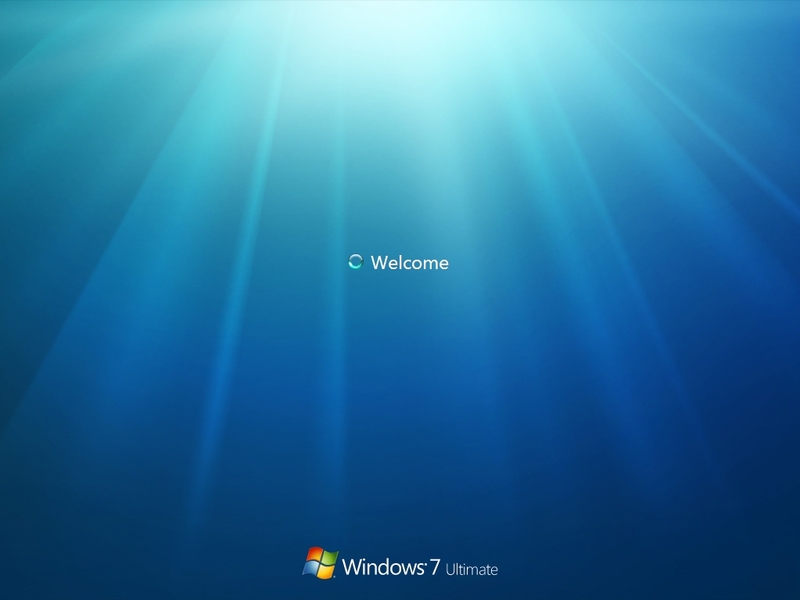 Finally, we are “welcomed” to Windows 7. And voila! 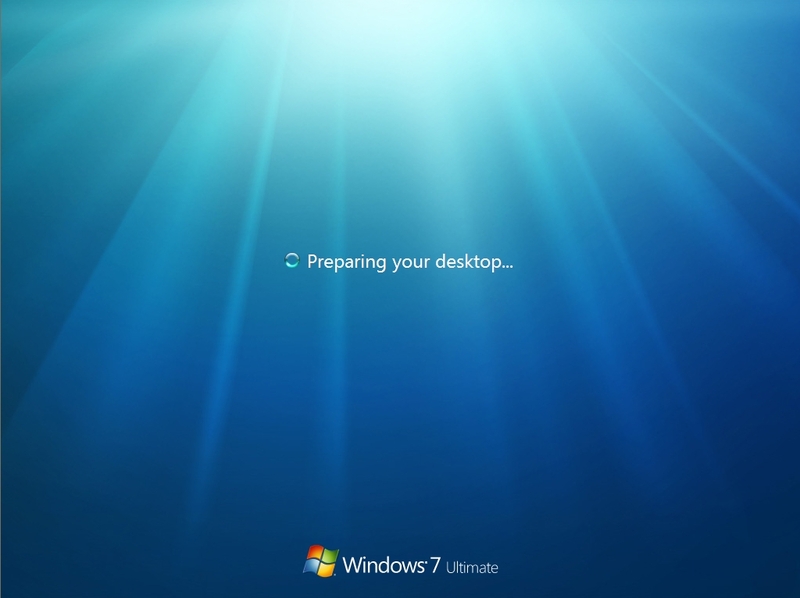 The Windows 7 installation is complete and we’re sitting at the desktop screen. 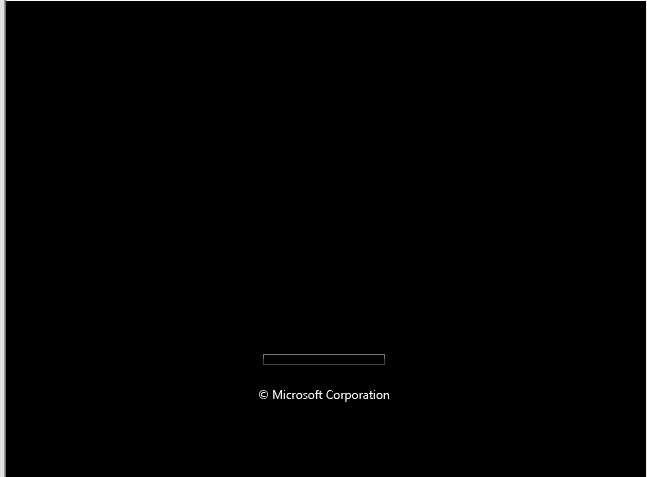 Note that I don’t have that cool new taskbar in the build that was handed out at PDC. More on that next time—the new taskbar is actually in the build and Rafael Rivera has found a hack to unlock it.